A bold print floral maxi dress can take you from running errands during the day to dinner with friends at night. It's a lovely silhouette for any body type that looks so pretty when the wind blows! This maxi from Filly Flair is stunning with a great affordable price! It's the start to a new week. We are done with Spring Break and back from an amazing meeting in Dallas for the rewardStyle conference, so it's back to our normal schedules at home and here on the blog! Finally. I know I'm a home-body and love my normal every-day schedule. There is something so comforting in it. So I am happy to be home! I wore this maxi dress during our Spring Break in Florida. It was perfect for dinner out one night. Doesn't it look exactly like the designer brand here and here!? And guess what? This maxi dress is only $40! A fraction of the price of the others. I don't usually wear this fun style. Being only 5'3", most maxi dresses are so long on me and I feel they swallow me up. But this maxi actually fits my height perfectly with a good pair of wedges. I love the large oversized top ruffle and the elastic waist, super flattering on any body type! A maxi dress is a great option for any Summer event you have...showers, weddings, parties! But you can also dress it down with some flip flops and a cross body bag. They are so comfy while still looking fancy. 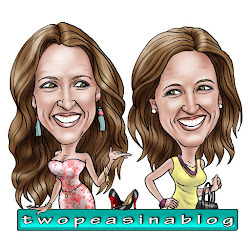 I've rounded up a few more options below for you to shop. That is a stunning dress and I love your pictures! This dress... absolutely stunning! I love that floral print! I'm a home body too and as much as my husband and I love to travel, we always love to come home to a routine!! 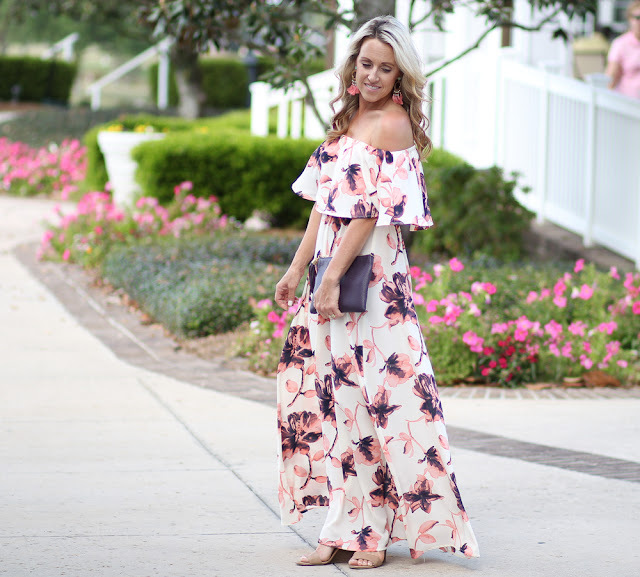 I LOVE this floral maxi dress! It is so so so pretty and your earrings and clutch go so amazingly well with it! Love this look from head-to-toe!!! I love this dress and the floral print! I can't get enough of the beautiful floral print this spring! Oh how beautiful! 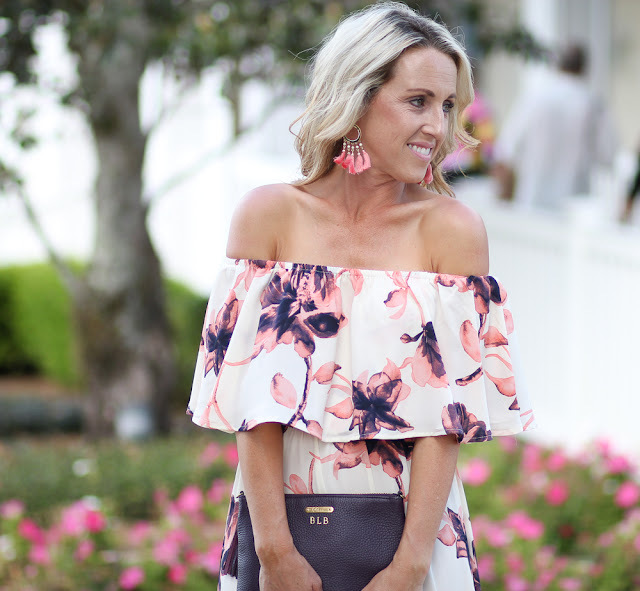 I love the ruffle and the length of the maxi. Espadrilles are a must for long dresses for me to since I'm just under 5'3. Have a fab weekend! Trending - Lace Detail + SHOPBOP sale!